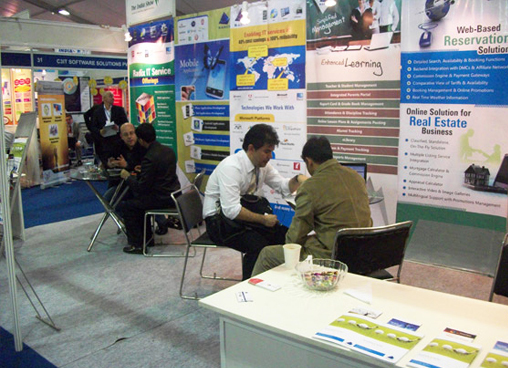 The Electronics and Computer Software Export Promotion Council (ESC) organizes IndiaSoft – India IT Show in India. IndiaSoft is a B2B IT exposition that aims to provide innovative products and solutions for enterprises from the best IT vendors in the country. More than 400 Foreign IT buyers from 75+ countries converge with 150 Indian IT companies under one roof for the event. 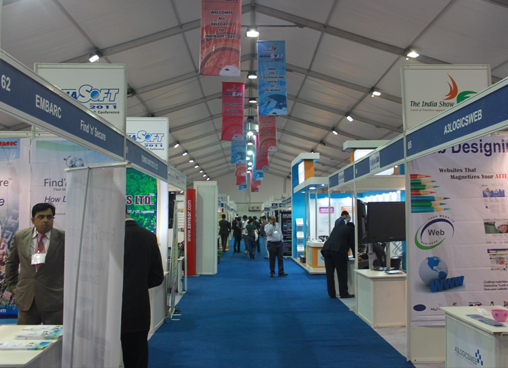 Apart from being a global IT networking event to encourage collaboration and joint ventures between Indian companies and foreign buyers, IndiaSoft focuses on industries that require software and IT services such as Banking, Insurance, Logistics, Distribution, Travel, Transport, IT, Energy, etc. Since Q3 Technologies provides outstanding IT & software development services for worldwide markets, IndiaSoft is a great chance for us to meet new prospects, generate brand awareness and showcase our technology and IT prowess to all the foreign buyers. Q3’s software development and IT services helps an organization meet deadlines and accelerate time-to-market while maintaining the highest quality standards. With a team of more than 500 software engineers with expertise in MS .NET, Java, Mobile, Data and Open Source technologies for over 20 years, we understand our clients’ desire for scalable and robust next-generation software. At IndiaSoft, we hope to entice global executives with our practical and cost-effective IT solutions.